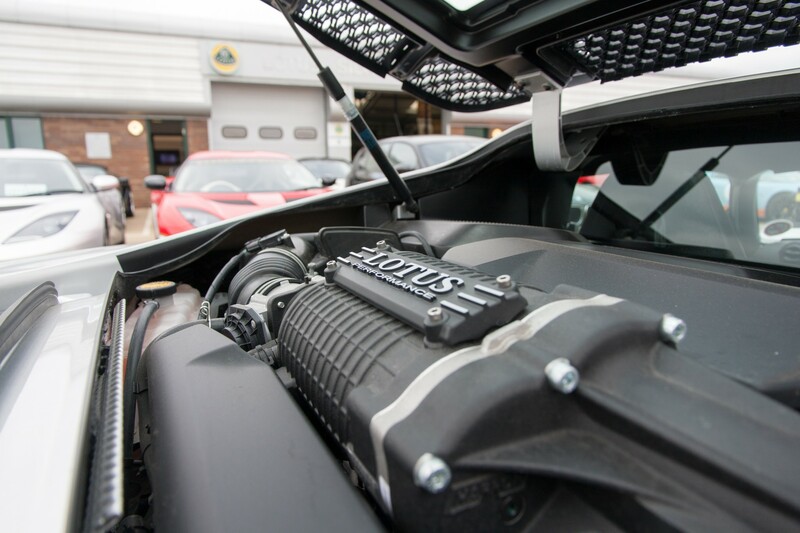 It’s been a long time coming, but the dealer demo days have finally begun with Lotus stealing a single car away from the press fleet to give potential customers their first chance to experience the new V6-engined Exige S and hopefully persuade those still sitting on the fence to put their orders in. Unfortunately I’m not lucky enough to be in that position, but a quick email to Aimee at Lotus Silverstone later and a place was booked for a brief run out in the car, purely for research purposes of course. 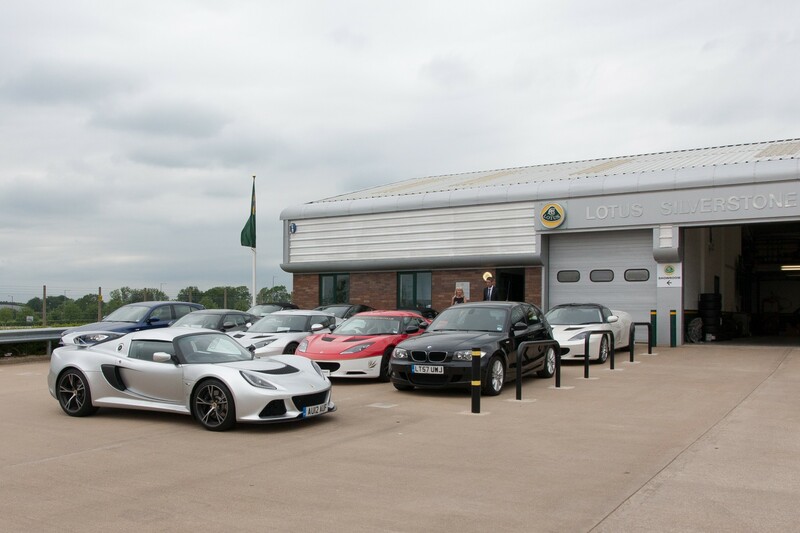 Inside I’m introduced to Aimee Mitchell, ‘Lotus Champion’ for Lotus Silverstone, who takes a copy of my licence and gets me to the test drive paperwork – and notably the £5,000 insurance excess liability should your enthusiasm exceed your talent! Life signed away and it’s over to James Haskey, Lotus Car’s Territory Manager for the UK, and the man tasked with getting people out in the new car. We’ve covered the cars looks in the past, having seen the show car at dealerships around the country last year but this production ready press car, in Arctic Silver with Diamond Cut wheels and bereft of the show cars questionable contrast colours and numbers, gives a chance to take in how the finished article really looks. Those who don’t approve of the rear-end treatment are still going to be disappointed, but the silver fits well with the lines of the car and should prove a hit in the UK market where mono-chrome appears to be king. Inside and the things are pure S2 Exige. 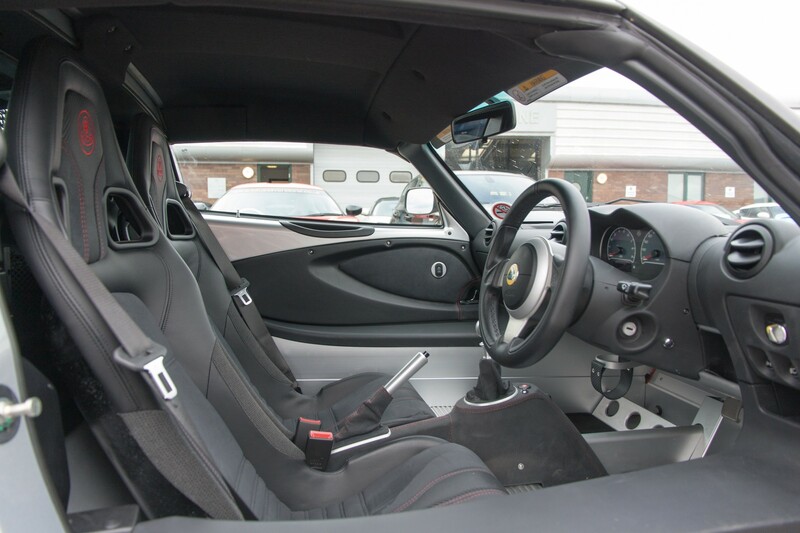 You fold yourself in through the door aperture and while a few improvements are notable, like the fancy red contrast stitching on the leather and Suedetex covered seats and the centre console, if you’ve been in a later Exige you’ll know what to expect. Of course if you want full carpet and leather treatment then the Premium Pack – as opposed to the Premium Sport Pack fitted to this car – is an option, but to do so would arguably be missing the point. The long and short of it however is if you don’t like the existing Elises and Exiges from an ergonomics standpoint then the new Exige S is going to do nothing to change your mind. Turning the key and the engine fires with a short, attention grabbing, throttle blip. Only up to around 2,000rpm, but enough to clear the exhausts throat before settling down to a steady idle. Reaching for 1st and the shift is clean, if perhaps just a fraction long in throw, and it’s time to turn the car round and head out on to the road. Despite the extra weight of the car, the wider front tyres and the quicker steering rack it’s impressive that the steering is only a fraction heavier than the Elise I arrived in at maneuvering speeds. It may of course help that this car is fitted with the standard fit Pirelli PZero Corsa tyres as opposed to the stickier PZero Trofeos. Driving out through Silverstone and the first impression is that like the Evora the car is more than happy to cruise at low speeds, with no real harshness to the ride and ample low-end torque to burble quietly along their 30mph limits in 5th. Of course this isn’t a car built for pootling around town, so as we take a right out on to a promising looking country lane with a much appreciated NSL sign giving the go ahead for a first real exploration of the throttle pedal, dropping down to 3rd and opening it up. The engine pulls strongly despite being at just 2000rpm at 30mph, and gets in to it’s stride as the revs build. It’s packs a punch like no factory Exige has before, and within a couple seconds a blind crest in the road means it’s time to scrub off some speed. It’s lucky I do, as in the dip on the other side a pheasant wanders lazily in to the road and it’s hard on to the brakes to avoid making a rather expensive mess. 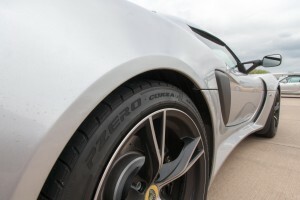 The brake system is carried across from the Evora S and performs admirably throughout the test. There is perhaps a little more initial bite than I’d like at low-speed, but this is likely just a carry over from having stepped in to the car from the non-servo assisted S1 and after a couple applications you readjust easily enough. Once up to speed they prove as strong and reliable as in the Evora S, as you’d expect with 300kg less to keep in check. As we continue along the test route the sheer shove of the Exiges V6 continues to impress, but the rate it pushes you down the road – and up behind slower traffic – dominates the proceedings on such a brief exposure. I’d love to be able to tell tales of how the electronics enhanced or hindered the experience and how the car felt at the limits, but the simple fact is I’m not sure I’d ever be able to answer these questions on the road. All I can really say is on the roads that make up the first part of the test route and driving as fast as my self restraint, the road and the traffic conditions allowed the Exige felt positively vice-less. The suspension is supple yet well controlled with no unnecessary harshness over bumps, the steering wheel weight and feedback are spot on allowing you to be confident and accurate with your inputs, and the balance completely neutral with no hint of understeer or oversteer. Moving on to the dual carriageway and the Exige S can simply devour the motorway slipway and feels every bit capable of pushing on towards it’s 170mph top speed, but instead I opt to shuffle back up to 6th gear, settle in to a 70mph cruise, and dig a little deeper in to who exactly is putting in orders for this new Exige. It’s easy to do as well. 70mph in 6th sees the engine running at just over 2500rpm and the supercharger whine has all but vanished – being mounted closer to the driver and without the double glazed divider between the engine bay and the cabin it’s still more intrusive than in the Evora S, but far less so than in the 2ZZ-FE engined Exige. Wind and tyre noise aren’t excessive either, again likely helped by the less extreme PZero Corsa tyres, meaning it’s easy to hold a conversation without having to resort to raised voices. The new glass rear screen and spoiler also makes it a little easier to keep track of cars around you, offering a surprisingly good view of the road behind as you peer through the gap beneath the spoiler. It’ll certainly be a welcome change for drivers of the old Exige S who were simply treated to a view of the intercooler in the mirror. Speaking with James it seems the majority of buyers are looking for an alternative to the 911 GT3. It sounds like a lot of them have found it as well, with “around 90%” of people who’d visited thus far for the test drives placing an order. There is a lot more to this new Exige than you can really explore in a half hour test drive – in fact the only real niggle has to be that there is far more performance than you could really use on the road. Familiarity may allow you to begin unlocking more of it’s potential, but the real limiting factor will quickly become your own sense of self control. That the Exige S is the ultimate evolution of the the Elise platform is unquestionable, but it’s really a car which feels like it needs a big track like Spa, Silverstone GP or the Nordschleife to be able to fully exploit and enjoy the level of performance available to you – to use one purely as a road car would ultimately prove frustrating. Fortunately the new Elise S is looking to be a compelling option for those who want a new Elise with more go than the 1.6. The biggest positive with the Exige S is that in it Lotus finally have a car which can go head-to-head with the best of the track focus machinery out there and, if the press are to be believe, truly shine. 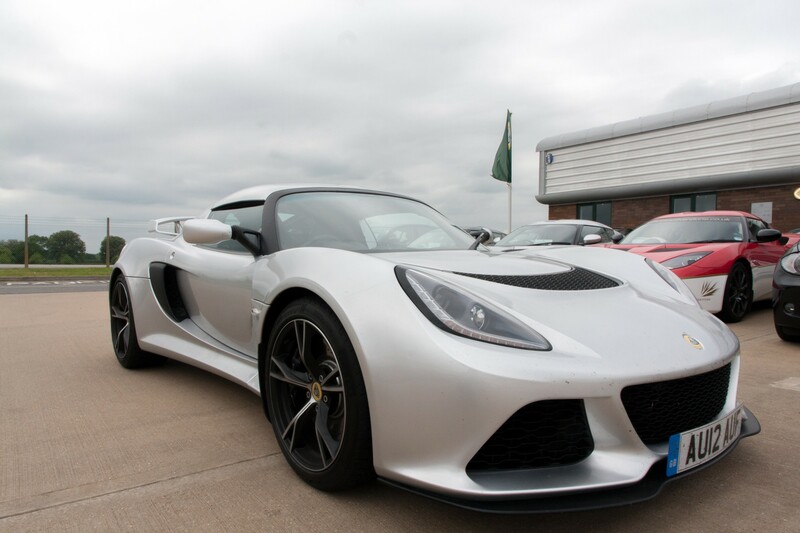 It also brings some much needed differentiation to the Elise and Exige lines, giving them 2 distinct products as opposed to the one and a half they’ve had since the introduction of the S2 Exige. Of course for those who are still undecided on the Exige S, the best thing to do is to get down to one of the dealer demo days in the coming weeks and drive it for yourself.